The ALSG275W is a pyrotechnic rubber ball that is designed to deliver a high volume of smoke upon initiation. 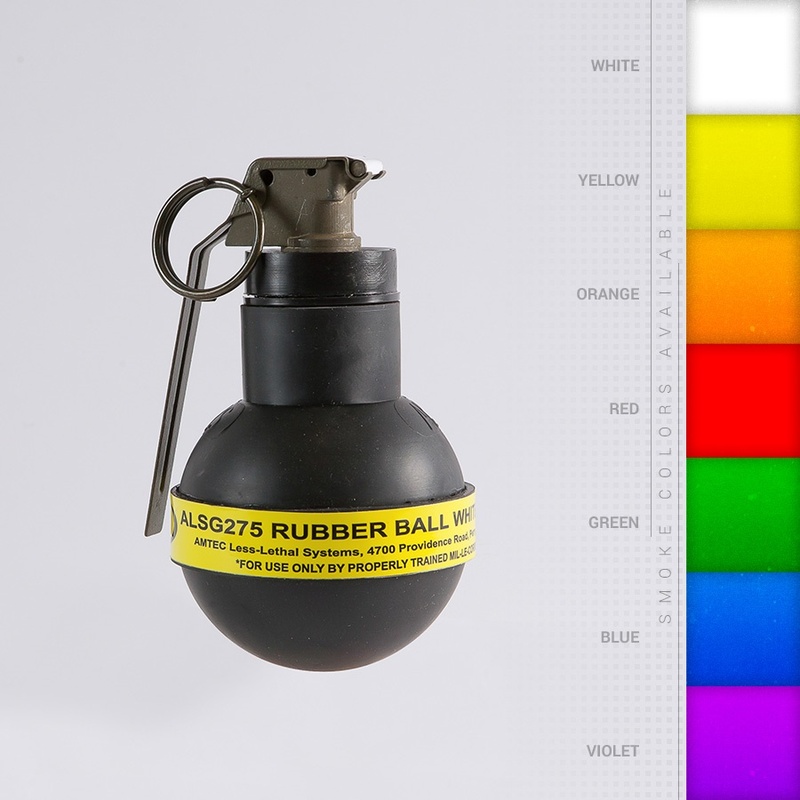 The Handball Smoke utilizes a Model M201A1 fuze and discharges for approximately 10-20 seconds, and is also available in Red, Orange, Yellow, Green, Blue, and Violet. The Rubber ball form factor is ideal for corrections/riot applications, as it reduces the potential for “throw back”. The ALSG275W is a pyrotechnic rubber ball that is designed to deliver a high volume of smoke upon initiation. The Handball Smoke utilizes an M201A1 fuze and discharges for approximately 10-20 seconds. The Rubber ball form factor is ideal for corrections/riot applications, as it reduces the potential for “throw back”.